This book covers all aspects of the history, physical metallurgy, corrosion behavior, cost factors and current and potential uses of titanium. The history of titanium is traced from its early beginnings through the work of Kroll, to the present day broadening market place. Extensive detail on extraction processes is discussed, as well as the various beta to alpha transformations and and details of the powder metallurgy techniques. The relationship of microstructure to mechanical properties, and the topic of corrosion are described in detail. 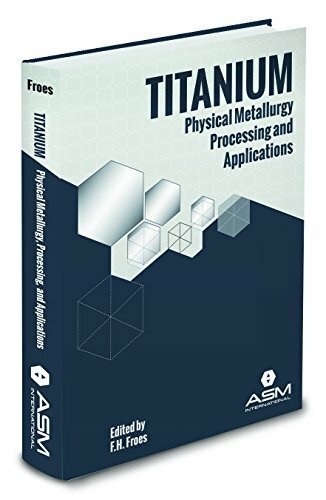 A comprehensive section presents applications of titanium.<br /><br /> Anyone involved in any aspect of titanium science, technology, or application (including personnel in industry, government, and academia) can benefit with this book. <br /><br />This reference book is based on an education course developed by ASM International in the early 1980's, which has been revised several times as new technical information became available, the latest revision in 2014 by F.H. (Sam) Froes, an expert in titanium and titanium alloy technology.